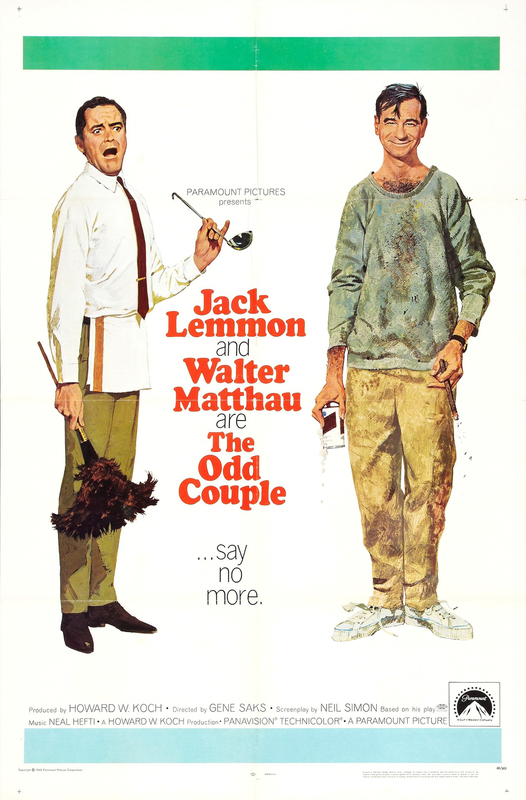 The movie poster art of Robert McGinnis | 'TAIN'T THE MEAT… IT'S THE HUMANITY! During his long and celebrated career Robert McGinnis has painted over 1000 paperback covers for authors such as Elmore Leonard, Donald Westlake and Erle Stanley Gardner, covering subjects as diverse as crime, thrillers, gothic horror and romance. Over the last few decades a healthy collectors market has sprung up and books featuring his artwork are now quite valuable (click here for more on McGinnis’ book covers). 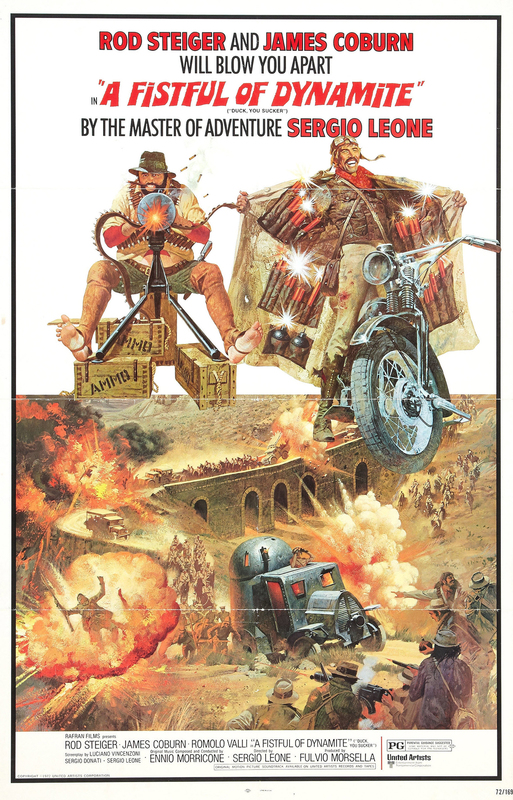 But to the general public he is better known for his movie poster art, which is remarkable since his portfolio features less than 50 posters – but what a portfolio! Breakfast at Tiffany’s, Thunderball, The Odd Couple, A Fistful of Dynamite, Cotton Goes to Harlem – all films his artwork has graced covering genres as diverse as his book covers. His work has become almost as iconic as the films themselves – perhaps more so. 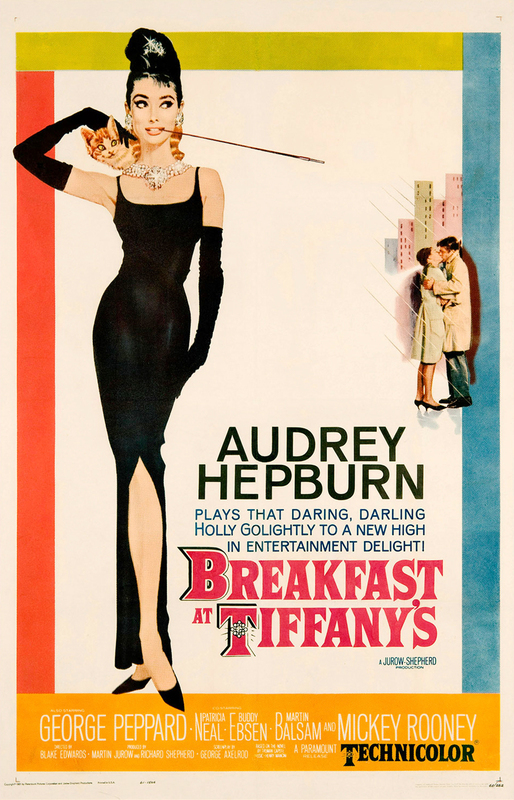 I suspect most people will instantly recognise his painting of Audrey Hepburn from Breakfast at Tiffany’s over images from the film itself and it’s an image that has become synonymous with the actress. 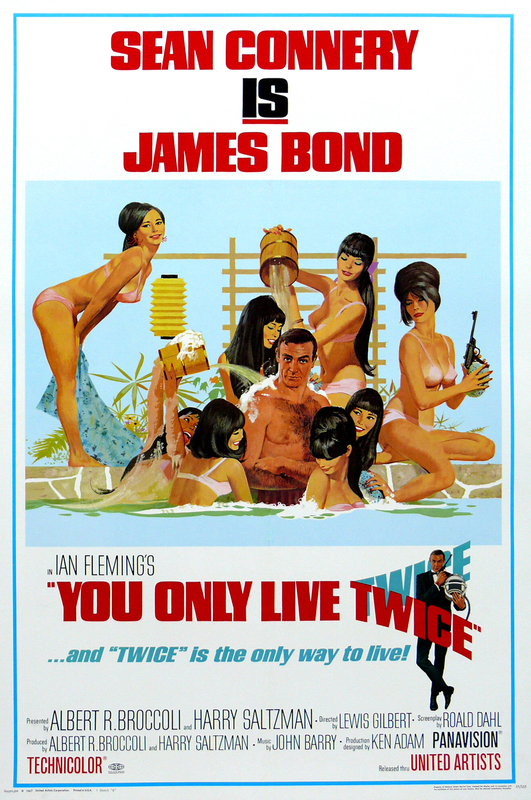 It’s probably for his Bond posters that he is most recognised, mainly because he painted so many of them – starting with Thunderball in 1965 he painted posters for all the films until 1974 – including You Only Live Twice, On Her Majesty’s Secret Service, Diamonds are Forever, Live and Let Die and The Man with the Golden Gun. He utilised the experience gained from his career as a book artist, combining bright white backgrounds with a stylish sense of design and composition. 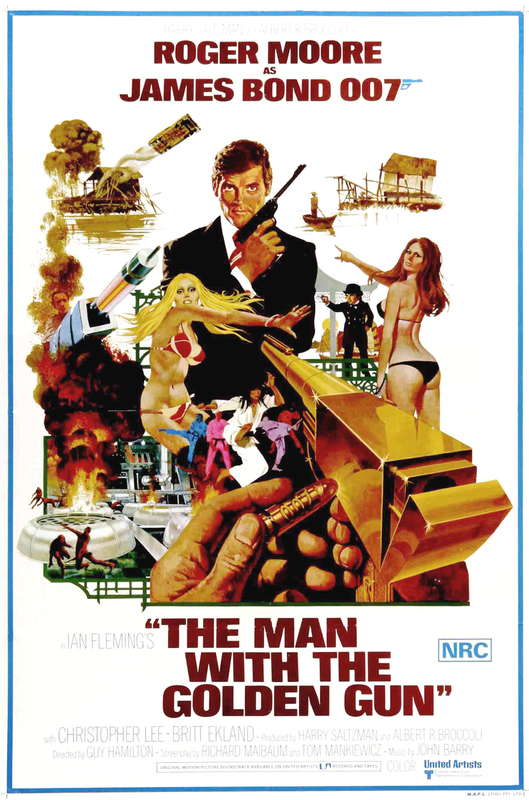 (He also claims to have been the first artist to paint Bond in the iconic arms folded, gun held high pose). There’s a terrific sense of efficiency and crispness to McGinnis artwork, which nearly all follow a similar pattern: the star is shown, usually head to toe, with a minimum of background clutter on a clean white background. 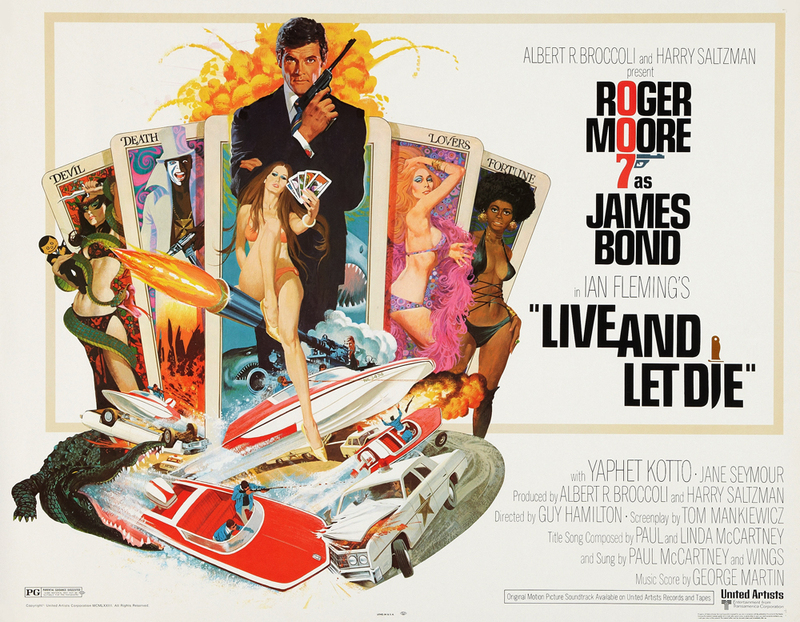 Live and Let Die, one of my favourite McGinnis paintings, breaks this rule somewhat but there is still a great sense of movement and dynamism to this poster. 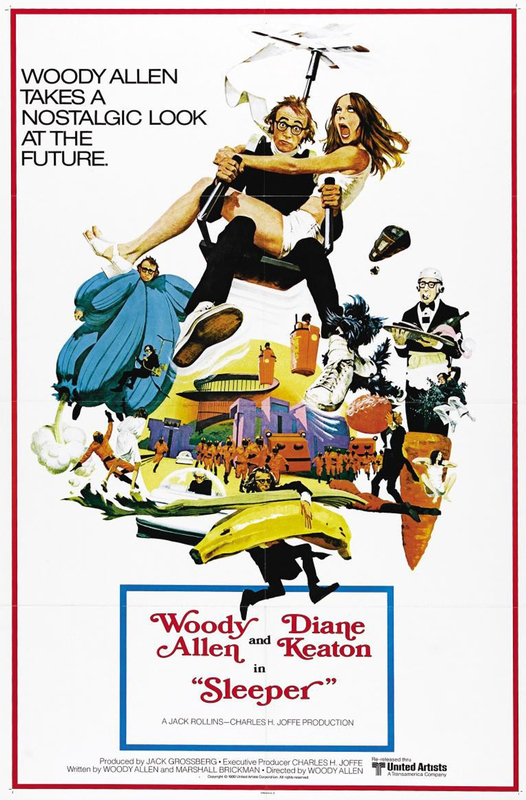 Your eye is drawn towards the main character before being swept around the image, taking in smaller scenes from the film as well as the gallery of beauties (it is a Bond film after all) on the playing cards before alighting on the films main logo. His posters are perfectly composed little snapshots into the world of that movie and no doubt contributed to the films’ success. Over the last 10-15 years Hollywood has drifted away from painted movie posters to concentrate more on photo montages and I think that’s a shame. There’s something engaging and fun about painted posters that you just don’t get with over-polished Photoshop images, images that wouldn’t look out of place on a slick magazine cover. When I first moved to London in the late ’80s I had several of the Bond posters on my bedroom room but I couldn’t imagine having a photo poster, they just seem so brash and humourless. 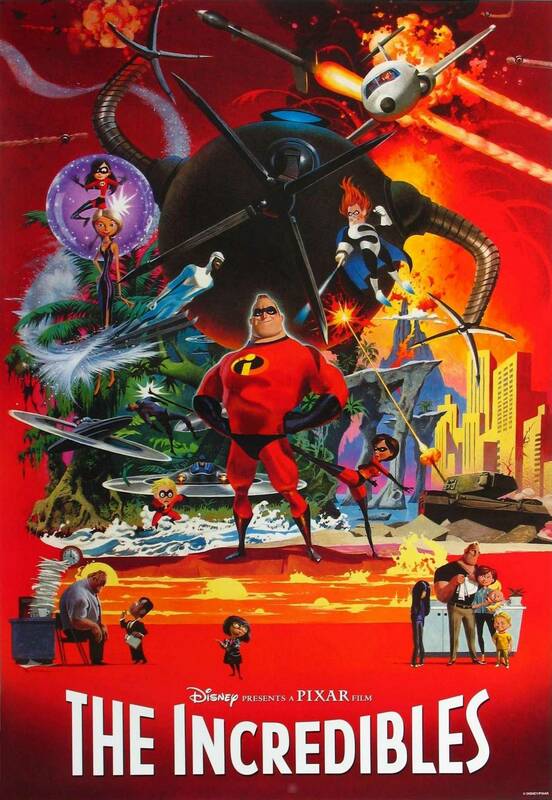 McGinnis’ movie poster works tailed off at the beginning of the ’80s although he did paint a one-sheet for The Incredibles in 2004, showing the artist has lost none of his flair for eye-catching composition.